Russian puppeteer and theatre personality (actor, director, painter, puppet theatre theoretician, writer, scriptwriter). In 1921, Sergei Obraztsov (also spelt Sergey Obraztsov) graduated from the Vkhutemas (Higher Artistry and Techniques Workshops). The same year he won a competition at the Moskovsky khudozhestvenny teatr (Moscow Art Theatre) and was an actor there until 1930. 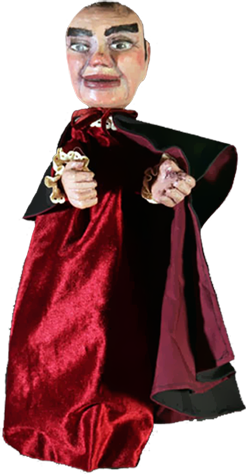 In his student years he made several glove puppets, performing little skits in front of friends, and later began to appear before wider audiences. Obraztsov’s repertoire included sketches where he used various techniques to make his characters mime to his singing. 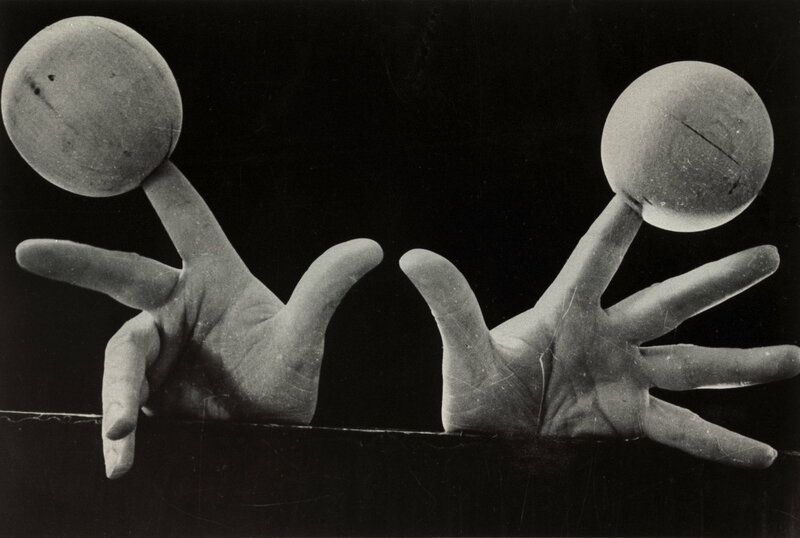 One of his best-known shows was the expressive performance of Tchaikovsky’s romance My sideli s toboi … (We Were Sitting With You … ) for which the faces of the man and woman characters were wooden balls without features, which he operated with his bare hands. Obraztsov’s “Romances with Puppets” were immensely popular in Moscow during the 1930s. He received invitations to act in VIP concerts, often performing before members of the Soviet government and Stalin personally. In 1931, Sergei Obraztsov was invited to head the newly established Moscow Puppet Theatre that would in time be called the Gosudarstvenny akademichesky tsentralny teatr kukol imeni S.V. Obraztsova (Sergei Obraztsov State Academic Central Puppet Theatre). An astute manager, he began with twelve collaborators and ended his career with the theatre with a company of 350. Puppetry was comparatively new for Obraztsov despite his previous solo acts in variety shows. He was not a puppeteer in the strict sense of the word; he treated the traditional puppet theatre with respect but never much interest. He claimed that the “new puppet theatre” should be special, that it must have an independent existence. He therefore turned to the method developed for theatre by Konstantin Stanislavsky (1863-1938), the founder of the Moscow Art Theatre, regarding him as his tutor. 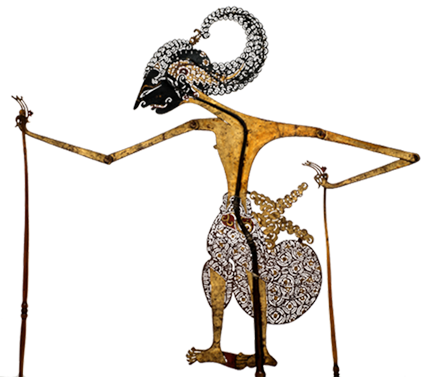 To rely on the method of emotional experience was quite a challenge for a puppeteer when a totally different type of actor was needed, someone who could “become as one” with a puppet rather than merely manipulate it, as well as a new type of a puppet designer and playwright. From the start, the productions of Obraztsov’s theatre, which was actively supported by the USSR government, were a great success. Initially a children’s theatre from 1940 on, it also regularly staged plays for adults. The government funded the new theatre, offering it the best stages. In 1970, the theatre moved to a building specially designed to meet Obraztsov’s aesthetic requirements. Sergei Obraztsov produced and staged sixty-one plays; all were different, achieving various degrees of success. 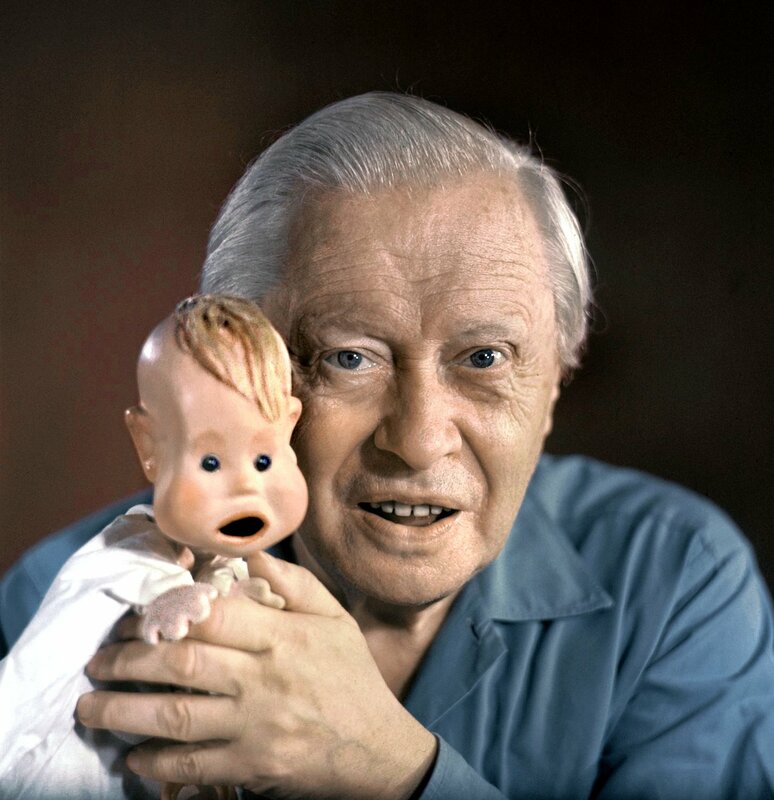 His most well-known production is Neobyknovenny kontsert (The Unusual Concert, 1946, initially titled The Usual Concert), created in collaboration with the puppet designer Valentin Andrievich (1908-1985). A viewer of many almost identical concerts, Obraztsov came up with a show that was an amalgamated parody of all of them. After its 50th anniversary in 1996, The Unusual Concert was still on the theatre’s playbill. Energetic despite his workload, Obraztsov explored other areas. He wrote books on puppetry (Moya professiya My Profession, 1950); books about the relation between different art forms (Po stupenkam pamyati Up and Down the Memory Steps, 1987); books about his tours abroad, and books about nature and wildlife intended for children. He made films, including his monologues Udivitelnoye ryadom (The Surprises Nearby, 1962), Kinokamera obviniayet (The Camera Accuses, 1968), Neveroyatnaya pravda (The Unbelievable Truth, 1971), as well as documentaries that were actually his responses to the letters from his audience, such as Komu on nuzhen etot Vaska? (Who Wants This Cat Vaska?, 1973). 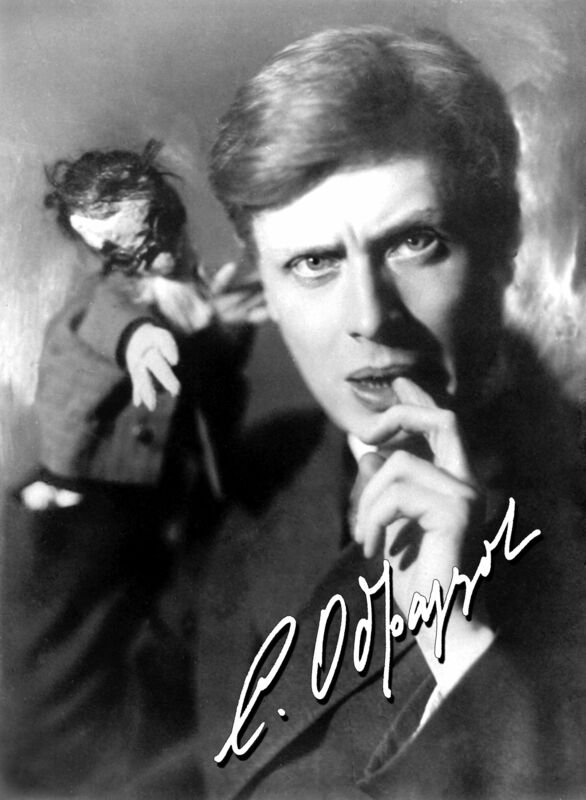 Obraztsov lectured in clubs and universities, directed training programmes for puppeteers, and taught (from 1970 to 1975) at the Moscow Academy of Theatre Art. He became a member of the World Peace Committee and was a speaker at its congresses. 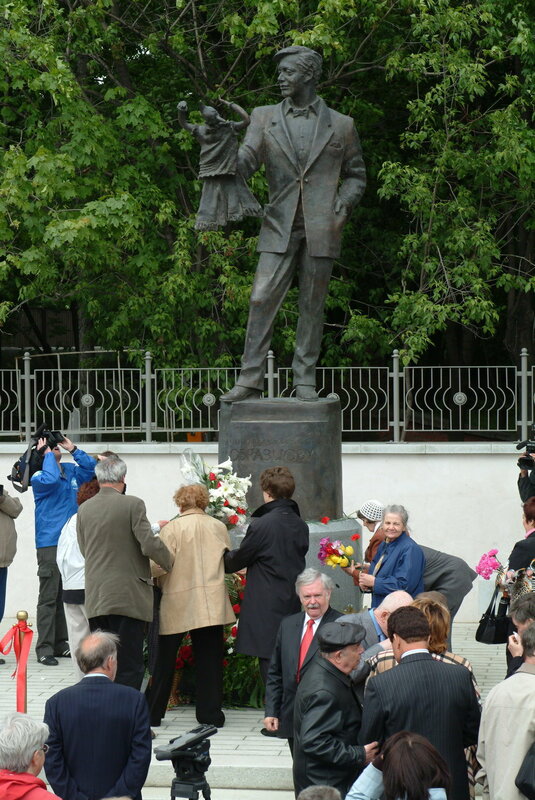 From 1976 to 1984, Obraztsov was president of the Union Internationale de la Marionnette (UNIMA), and later an UNIMA Member of Honour. Sergei Obraztsov was the only puppeteer given the highest Soviet distinctions of Hero of Socialist Labour and a USSR People’s Artist. Obraztsov, S.V. Po stupenkam pamyati [Up and Down the Memory Steps]. Moscow, 1987, 367 pp. Obraztsov, Sergei. Teatr koukol [The Puppet Theatre]. Moscow, 1981. Photographic documentation. Smirnova, N.I. Teatr Sergeya Obraztsova [Sergei Obraztsov’s Theatre]. Moscow: Nauka, 1981.